Join us March 6th for a CEO-in-Residence keynote by David Meyers, President and CEO of Iceberg Vodka Corporation. The Lazaridis School CEO-in-Residence is an appointed honour by the dean of the Lazaridis School of Business and Economics to help give students a perspective beyond their studies. One CEO-in-Residence is appointed each year to deliver a public keynote address, and meet with students and faculty. At the Lazaridis School, we aim to inspire lives of leadership and purpose, and so we look to Canadian executives who lead their businesses with the qualities and characteristics of excellence that we seek to develop in our students. Our alumni are making an incredible difference in the world, and we are honoured that many of our CEOs-in-Residence are Lazaridis School alumni. On Wednesday, March 6th, David Meyers, President and CEO of Iceberg Vodka Corporation and Lazaridis BBA ’81 grad, will be joining us at 2:30 p.m. in the Lazaridis Hall Atrium to share his experience over the years with Tylenol, Maple Leaf Foods and Mount Gay Distilleries. His talk will focus on the issues and crisis management process with a focus on the role of ethics in business. David Meyers is the President and CEO of Canadian Iceberg Vodka Corporation, which is the only Canadian owned and operated national vodka brand. David has significant international experience in North America, Europe, and the Caribbean in senior management roles in general management, brand marketing, sales management and corporate development. David’s experience includes being Managing Director/CEO of Moët Hennessy UK – a division of LVMH, responsible for world class brands such as Dom Pérignon, Krug, Moët & Chandon, Veuve Clicquot, Glenmorangie and Hennessy amongst others. Prior to joining Moët Hennessy UK, Mr. Meyers spent nearly 10 years with the Remy Cointreau Group initially leading Mount Gay Distilleries in Barbados and then subsequently in New York as President & CEO of Remy’s US distribution company. He has extensive marketing and sales experience in the food industry with Campbell’s and Maple Leaf Foods, and health industry with Johnson & Johnson on the Tylenol brand. During his career, David has demonstrated a passion for quality brand marketing and sales, as well as in transforming team environments with his energy, vision and motivational skills. Mr. Meyers, a Canadian, has a business degree from Wilfrid Laurier University, and is married with two sons and a daughter. His interests include travel, fitness, horticulture, sailing and sharing great wine and spirits with family and friends. 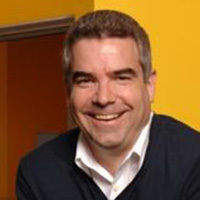 Andrew Williams is the CEO of DHL Express Canada, a division of Deutsch Post DHL Group, headquartered in Bonn, Germany. Deutsche Post DHL Group operates under two brands. Deutsche Post is Europe’s leading postal service provider. DHL is uniquely positioned in the world’s growth markets, with a comprehensive range of international express, freight transportation, e-commerce and supply chain management services. The Group employs approximately 520,000 employees in over 220 countries and territories worldwide. Andrew is a 22-year veteran of the company and currently leads a team of 1623 certified international specialists in a business that moves more than 30,000 shipments per day to and from Canada. Over the past four years revenue has doubled and the business has achieved sustainable profitability by focusing on its core purpose – connecting people and improving lives. Over his career, he has held multiple positions in sales, operations and general management. He has worked in over 40 countries throughout his time at DHL. This has allowed him the opportunity of fulfilling a childhood dream of seeing the world and making a difference. Andrew is a BBA graduate of Wilfrid Laurier University and he holds an international business designation from École Supérieure de Commerce in Rennes, France. Outside of DPDHL, he currently serves as the Co-Chair for WE Day Canada, a charitable organization partnered with DHL to meet the objective of making doing good doable. In his role as Co-Chair he provides logistics support and expertise to the organization. He is also a member of the YPO (Young Presidents Organization) Toronto chapter. A lifetime Toronto sports fan, Andrew resides in the city with his wife, Jan and their daughters – Brooke and Charlotte. Jean Paul (JP) Gladu is currently the President and CEO of the Canadian Council for Aboriginal Business (CCAB) based in Toronto. Anishinaabe from Thunder Bay JP is a member of Bingwi Neyaashi Anishinaabek located on the eastern shores of Lake Nipigon, Ontario. JP completed a forestry technician diploma in 1993, obtained an undergraduate degree in forestry from Northern Arizona University in 2000, holds an Executive MBA from Queens University and the ICD.D from Rotman School of Management University of Toronto. JP has over two decades of experience in the natural resource sector. His career path includes work with Aboriginal communities and organizations, environmental non-government organizations, industry and governments from across Canada. In JP’s current capacity at CCAB, he speaks extensively not only across Canada but internationally as he shares the challenges and successes of Aboriginal business in Canada today. Currently, JP serves on the Board of Ontario Power Generation and Noront Resources as well as the Canadian Electricity Association Public Advisory Panel. He has most recently been appointed as the Chancellor of St. Paul’s University College Waterloo. His previous appointments include Colleges and Institutes Canada (previously ACCC), the Northern Policy Institute, Canadian Foundation for Economic Education, advisory member to the Canadian Association of Petroleum Producers, a committee member to the Provincial Forest Policy Committee. In 2014, he was identified as a Diversity 50 Board Ready Candidate from the Canadian Board Diversity Council and a recipient of the Community Service Award – Transformation Awards from Diversity Magazine. As a father to his young daughter Chloe, along with a passion for his community, his culture and traditions; JP brings the past, present and future to the table, moving non-Aboriginal and Aboriginal business toward sustainable partnerships and shared economic prosperity. Jason is the President of PepsiCo Foods Canada, and was appointed to this role on July 2015. Jason has been with PepsiCo for 19 years. He has a wealth of knowledge in general management, sales and marketing from his roles in PepsiCo across Canada and the United States. Growing up in Chatham, Ontario, Jason has always had a passion for the retail industry working in two local grocery stores as well as the family furniture business. That’s where he experienced working on the sales floor and understanding how a warehouse operates, all while watching his parents’ marketing skills in action. At the beginning of his PepsiCo career, Jason worked in Brand Marketing in Canada on some of the company’s biggest brands including Lay’s, Doritos and Cheetos. His many accomplishments include developing the Munchies Snack Mix innovation and converting Lay’s to be made with sunflower oil, which was a significant milestone for the brand. Jason then moved to the U.S. with Frito Lay North America in Plano, Texas, as a Director of Marketing. In this role, he led the team that turned around the Doritos brand in 2007 and created the “Crash the Super Bowl” crowdsourcing campaign, which is now in its eighth year and an international success. 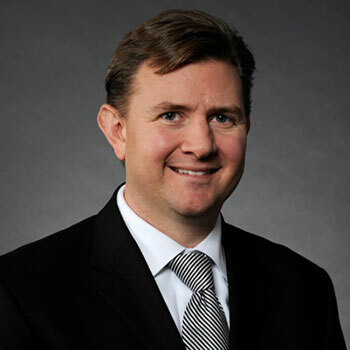 Jason then moved over to sales at Frito-Lay North America as the VP/GM for Customer Strategy, where he was responsible for identifying insights and developing retail/shopper strategies and growth plans across all Frito-Lay North America’s U.S. retail channels of business. 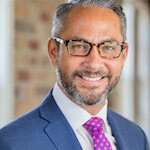 Jason then took on a broader PepsiCo role as VP/GM PepsiCo Sales in California where he led the Safeway team and was responsible for the performance of each of PepsiCo’s key U.S. divisions of Quaker, Pepsi, Gatorade, Tropicana and Frito Lay with Safeway. Jason returned to Canada in 2011 as the Chief Marketing Officer for PepsiCo Foods Canada. In this role, he led the team to deliver strong innovation results, and to implement the Canadian snacking demand moments approach, which transformed how the company markets some of Canada’s most loved food brands. Jason then moved to a field assignment in 2013 as GM Field Sales role leading the Ontario Area – the country’s largest direct store delivery (DSD) retail area. Jason was promoted in 2015 to his most recent role, VP/GM Field Sales for Canada, where he was responsible for Go-To-Market, Foodservice and the Ontario, East and West regions of Canada. Prior to PepsiCo, Jason worked in Brand Management at Procter & Gamble and he holds an Honours Business degree from the Lazaridis School of Business & Economics. Jason is also a member of the Board of Governors for Food and Consumer Products of Canada (FCPC), for the Food Industry Association of Canada and the Dean’s Advisory Council for the Wilfrid Laurier University Lazardis School of Business. Rowan is on a mission to build a foundation for future success and profitability at Economical, fuelled by bold growth strategies and a commitment to innovation. 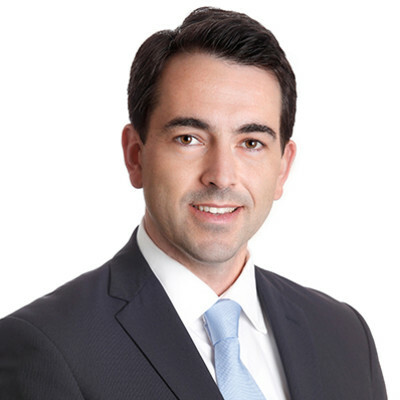 Rowan holds a Bachelor of Arts degree from York University, as well as a Canadian Risk Management designation, and is a fellow of the Insurance Institute of Canada. His extensive background includes nearly 30 years of international P&C industry experience, holding progressive positions in the areas of underwriting, marketing, sales, finance, and twelve years as a seasoned CEO. He is a past chairman and current member of the Board of Directors of the Insurance Bureau of Canada, and a member of the Board of Directors of Equitable Group Inc., where he participates as a member of the audit and corporate governance committees. Rowan also serves as a member of the Financial Services Commission of Ontario's (FSCO) CEO Advisory Committee and is a past member of the Board of Directors of the Institute for Catastrophic Loss Reduction and the Board of Directors of Facility Association. William Downe is Chief Executive Officer of BMO Financial Group. He was appointed CEO on March 1, 2007. 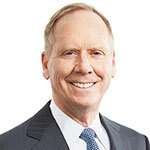 Downe joined Bank of Montreal in 1983 and held a variety of senior management positions in Canada and the U.S. In 1999, he was appointed vice-chair, Bank of Montreal and in 2001, he was named deputy chair, BMO Financial Group, and chief executive officer, BMO Nesbitt Burns. In 2006, he was appointed chief operating officer of BMO Financial Group. 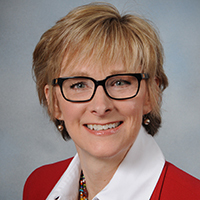 Downe is a director of ManpowerGroup Inc. and a member of their Executive Compensation and Human Resources Committee. He is on the Rush University Medical Center Board of Trustees, and is a member of their Development and Compensation and Human Resources Committees. Downe is a director of Catalyst Inc. and a member of their Audit Committee and serves as chair of Catalyst’s Canadian Advisory Board. Additionally, he is on the board of the Business Council of Canada as well as their Governance and Nominating Committee. Downe is a member of the Government of Canada’s Advisory Council on Women Entrepreneurs and Business Leaders, an advisory board member of the Rotman School of Management Martin Prosperity Institute (MPI) at the University of Toronto, and a member of the Economic Club of Chicago. Downe served on the board of the International Monetary Conference (IMC) and was a member of their Nominating Committee. He served on the National Executive Committee of the 2015 Governor General Canadian Leadership Conference and is past president of the Federal Reserve Board’s Federal Advisory Council. Downe is the only Canadian member of the International Business Leaders Advisory Council of the Mayor of Beijing (IBLAC). He is also a member of the International Advisory Council of Guanghua School of Management at Peking University. Downe is a member of the St. Michael’s Hospital Foundation Board, a member of the Executive Committee, and a member of the Campaign Cabinet. He is also a member of the campaign executive for The Campaign for the University of Toronto. Downe served as Chairman of the 2009 Campaign Cabinet for United Way of Greater Toronto, and is also past chair of the Board of Directors of St. Michael’s Hospital. Downe holds a Bachelor of Arts degree from Wilfrid Laurier University and a Master of Business Administration from the University of Toronto. In 2003, he received the Rotman Distinguished Business Alumni Award from the Joseph L. Rotman School of Management. In addition to his role as CEO of Unilever Canada, LeBoutillier serves as vice-chair of the board of directors for the national industry trade association, Food and Consumer Products of Canada, and is on the board of directors for GS1 and the Grocery and Manufacturers Association. LeBoutillier is a strong proponent of Unilever's Sustainable Living Plan and works to drive sustainability into the Canadian business, whether it's through direct involvement, customer development programs, brand activation, or employee engagement. Last fall, LeBoutillier was named to Canada's Clean16 for his outstanding contributions to clean capitalism. Prior to leading Unilever Canada, LeBoutillier was senior vice-president of Unilever Foods and Refreshments in the U.S. and general manager of U.S. Ice Cream, where he led a transformation in the relationship between Ben & Jerry's and Unilever. 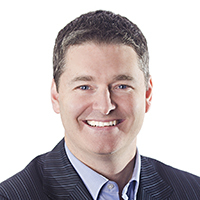 Prior to joining Unilever in 2007, LeBoutillier held several leadership roles at Kraft. He is a graduate of Harvard College in Cambridge, Massachusetts and received his MBA from the Amos Tuck School of Business at Dartmouth College. When LeBoutillier isn't busy leading Unilever to become one of the best places to work in Canada, he enjoys working out, sailing, and spending time with his daughter. 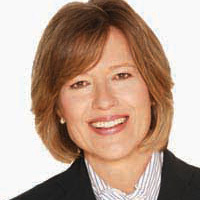 In addition to being a member of the Canadian Tire Corporation’s board, Marueen is a director of the Canadian Tire Bank. She has also been chairman, vice-chairman or member for a number of additional boards, including those of the Export Development Corporation, the Departmental Audit Committee (DAC) at the Department of Foreign Affairs and International Trade (DFAIT), Public Accountants Council for the Province of Ontario, O&Y Properties Corporation, O&Y First Place Tower Inc., Gulf Canada Resources Limited, Hollinger Inc., Skyjack Inc., Laurentian General Insurance Company Inc. and Hydro One. Maureen has served on the board of governors of the University of Guelph, was a member of the board of trustees of Brock University and chairman of the audit committee, served on the board of trustees of Sunnybrook Medical Centre for many years, and is a past chairman of the Sunnybrook Medical Centre Foundation. At present, she is a counsel to the Sunnybrook Foundation. She is also a member of the leadership council of the Perimeter Institute and of the board of governors of the Montreal Economic Institute. Maureen co-authored Integrity in the Spotlight: Opportunities for Audit Committees and Integrity in the Spotlight: Audit Committees in a High Risk World with James Goodfellow. 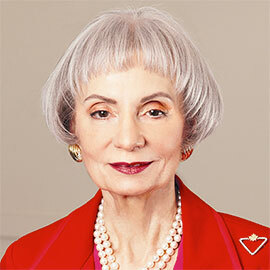 She was named one of Canada’s 100 Most Powerful Women by the Women’s Executive Network in 2009. Honours: Officer of the Order of Canada; Queen’s Diamond Jubilee Medal; LLD, Dalhousie University; LLD, Wilfrid Laurier University. Shelley Martin (BBA '85) president and CEO, Nestle Canada Inc.
Shelley Martin (BBA ’85), president and CEO, Nestle Canada Inc.
Shelley Martin is president and CEO of Nestle Canada Inc., a leading company that produces some of the world's most recognized and trusted foods and beverages. In this role, Shelley has executive responsibility for Nestle in Canada, which includes the following divisions: Beverages, Confectionary, Frozen Meals and Pizza, Ice Cream, Nestle Professional, Nestle Purina PetCare, Nestle Waters, Nestle Health Science and Nestle Nutrition. Nestle in Canada businesses employ approximately 3,600 people in 23 facilities, including manufacturing sites, sales offices and distribution centres nationally. Shelley joined Nestle Canada in March 1990 working on the PetCare Business in Marketing, and in 1997, was promoted to vice-president of Confectionary. In 2000, she became the leader of PetCare and for 2001/2002, led the Canadian acquisition and transition to Nestle Purina. She became the head of Nestle and Beverages in 2002 and was promoted to president, Ice Cream in July. 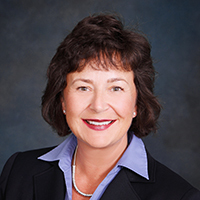 In March 2012, Shelley became the division executive manager of the Frozen Foods Business. Prior to joining Nestle Canada, Shelley worked for five years at General Mills, maker of cereals, pasta and sauce. Shelley actively participates in industry initiatives and is currently the vice-chair on the board of directors for Food and Consumer Products Canada (FCPC). She serves on the board of the Grocery Innovation Foundation, which has raised over $75 million to provide a better life for challenged children and to answer many other community needs. She also sits on the boards of the Golden Pencil Award Executive Committee and the Canadian Stewardship Services Alliance (CSSA). Shelley resides in Toronto with her two daughters, and apart from spending time with her family, enjoys boating at her nearby cottage. She was born and raised in rural Ontario, north of Toronto. Biography details are accurate at the time of the residency. Aidan Tracey (BBA ’91) CEO, SGS International (formerly president, Acosta Mosaic Group). 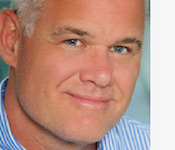 Aidan is the chief executive officer of Southern Graphic Systems (SGS), a global leader in providing design to print services for global Fortune 500 companies in the CPG industry. Aidan brings to SGS extensive experience helping brand marketers combat the growing erosion of traditional forms of mass media by combining experiential, digital, PR and social media, and retail marketing to reach consumers. In addition to steering the vision of SGS, Aidan is an industry thought-leader, participating in dozens of speaking opportunities across North America, including the Grocery Manufacturers Association CEO Executive Conference, The Shopper Marketing Expo, and numerous client events. He is a distinguished faculty member of the Path to Purchase Institute. Aidan previously served as president of the Acosta Mosiac Group (AMG) and as the vice-president of digital media for North America at Labatt-Interbrew (now ABInBev). Throughout his seven-year tenure, he enjoyed a variety of assignments, including responsibility for all web based consumer activity and database marketing. Additionally, Aidan held the position of director of marketing and brand manager for the regional brand portfolio. Prior to joining Labatt, Aidan was a brand manager at Procter & Gamble on such leading products as Crest and Ivory Bar. Robert Strickland (BBA ’83) president, Fidelity Investments Canada. Robert Strickland is president of Fidelity Investments Canada ULC (FIC). Fidelity Investments Canada is part of Pyramis Global Advisors, a unit of the Boston-based Fidelity Investments organization. Pyramis, with approximately $214 billion in assets under management as at June 30, 2014, focuses on investment products and solutions for institutional customers. 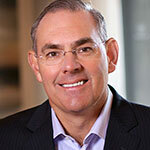 Robert joined FIC in 2003 as executive vice-president and head of Fidelity Advisor Sales. He was appointed to his current position in March 2005. Robert started in the industry in 1984. 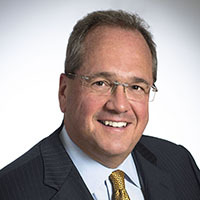 Before joining Fidelity, he held a number of senior positions with TD Bank Financial Group, including president, TD Waterhouse Financial Planning; chief operating officer, Tokyo-Mitsubishi TD Waterhouse Securities Co. in Tokyo; and president, TD Evergreen. Lindsay Duffield (BBA ’79) president, Jaguar Land Rover Canada. After graduating as the Gold Medalist in his class, Lindsay Duffield joined IBM Canada, spending 14 successful years in numerous sales, marketing and financial services positions in Canada and the US. In 1993, he entered the auto industry as director of marketing and communications at Mercedes-Benz Credit Corporation. In 1996, he moved to BMW Group Financial Services as vice-president of sales and marketing, and then, in 2000, he moved to Columbus, Ohio to take up the role of vice-president of operations. In 2004, he was appointed the first Canadian-born president and CEO of BMW Group Canada. In 2010, he became president of Jaguar Land Rover Canada. Lindsay supports three universities, including Laurier, where he has shared his comprehensive business expertise with students, alumni and administration. He is a director of the York University Foundation, a member of the University of Toronto's International Alumni Council and on the 10-member cabinet assisting with the Rotman School's five-year, $200 million fundraising campaign. Lindsay is a director of the Association of International Automobile Manufacturers of Canada and a past director of the Canadian Automotive Institute. He has been a keynote speaker at a number of industry conferences focusing on business transformation, customer relationship management and premium customer experiences. His wife, Ruth, and his brother, Jim, are also Laurier graduates. He has two hockey and car crazy sons - Jordan and Christian. Lynn Oldfield (BBA ’84) president and CEO, AIG Insurance Company of Canada. Lynn Oldfield is president and CEO of AIG Insurance Company of Canada, a subsidiary of AIG. Based in Toronto, she is responsible for the company's property and casualty insurance operations in Canada. Having joined AIG in 1991, her experience includes management roles in underwriting, client and broker relationship management, and sales and marketing. Prior insurance experience includes various roles with Metropolitan Insurance Company of Canada and Royal Insurance (now RSA). Lynn holds an MBA from McMaster University and an honours undergraduate business degree from Wilfrid Laurier University. She has earned her Fellow Chartered Insurance Professional (FCIP) and Canadian Risk Management (CRM) designations. Lynn serves on the board of directors of AIG Insurance Company of Canada and the Laurier Campaign Cabinet. Lynn is past chair of the Academic Council of the Insurance Institute of Canada. In 2011, Lynn was honoured to be chosen one of Laurier's Top 100 Alumni to celebrate the university's centenary. Michael Ward (BBA ’86) regional retail manager, IKEA North America and Nordic (formerly president, IKEA USA). Mike Ward became president of IKEA USA on Jan. 1, 2009. He came to this position after four years as president of IKEA Netherlands. Mike has over twenty years of IKEA home furnishings expertise accumulated from several growth management positions. IKEA US is now number two in the US home furnishings market - a major player that grew from a small niche retailer with 15 stores to a nationally recognized retailer with 38 stores. IKEA, the leading home furnishings company, is recognized by millions for offering great value and price, as well as being a good company and employer with strong social and environmental programs. A native of Kitchener-Waterloo, Canada, Mike began his career with IKEA in 1986. After a traineeship of one year, he began working in the Canadian IKEA stores where he held various positions focusing on the commercial side of the business. In 1994, he became store manager of IKEA Burlington, where his interest in developing co-workers led to a promotion to managing the training and development for the Canadian organization. In 2001, Mike left Canada to take a global role in leading the development of several company-wide human resource projects. After their completion, Mike joined IKEA Netherlands as deputy retail manager. Mike became president of IKEA Netherlands in 2005. Under his leadership, IKEA Netherlands enjoyed excellent growth and was recognized as the Netherlands’ leading retailer three years in a row (as determined by the country’s most recognized consumer poll). Mike and his family live in the Philadelphia area. 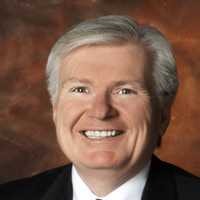 Tim Penner retired as president of Procter & Gamble (P&G) Canada in September 2011 after 33 years with the company. He joined P&G and worked in various marketing roles in Canada, advancing to the position of general manager of health care products. Tim and his family then moved internationally twice with P&G. From 1993 to 1996, Tim was the vice-president of Health and Beauty Care in the UK and Ireland. Then from 1996 to 1999, he was vice-president of the NA Paper business, located in Cincinnati, Ohio. He returned to Toronto as president of P&G Canada in 1999 and held that role for 12 years before retiring in 2011. Outside of work, Tim has served for 10 years on the Ontario Task Force on Competitiveness, Productivity and Economic Progress. He is vice-chair and leads the fundraising committee for the YMCA of Toronto. He also serves as a trustee of Sick Kids Hospital. He is on the board of Intact Insurance, the largest property and casualty insurance company in Canada. In the past, Tim was a member of the Toronto United Way campaign cabinet for eight years and chaired the campaign in 2007. He served as chair of the Food and Consumer Products Association; as chair of GS-1; as a board director for the Youth Challenge Fund; and as a director of the Conference Board of Canada. He has been on the Dean’s Advisory Council at both Wilfrid Laurier University and the Schulich School of Business at York. He also served as the Honorary chair of Career Bridge, a program that provides internship positions for skilled newcomers to Canada. Stacey Mowbray (BBA '85) president and CEO, The Second Cup Ltd.
Stacey Mowbray (BBA ’85), president and CEO, Weight Watchers Canada (formerly president and CEO, The Second Cup Ltd.). With more than 20 years of increasing leadership positions in sales and marketing, Stacey Mowbray has worked with a number of brand giants in Canada, including the Weston Group, Pepsi Canada, Molson Canada, and Cara Operations, where she was promoted to president of the Milestone's Grill and Bar chain. It was during her tenure at Cara Operations that she helped to develop the business strategy for Second Cup, a spin-off company of Cara Operations. Named one of Canada's Top 20 Business Women in 2009, Stacey's success in business is grounded by her strategic skills and respect for people. In 2008, she became president of Canada's largest specialty coffee retailer, The Second Cup Ltd., and only one year later she added the title of CEO. Stacey has been on the Second Cup Coffee Co. board since early 2007 and has been a board member of several industry and non-profit organizations over her career, including the Association of Canadian Advertisers, and she is a member of the supervisory board for Best New Products Awards. She also sits on the Coffee Association of Canada board. An advocate of mentoring and helping others, Stacey is a mentor in the American Marketing Association Mentor Program and speaks at various women's events and corporate events. Her husband, Paul, is also a Laurier graduate, and they have two teenage daughters.